Where can I go? The roads are your Oyster! Quiet roads or cycle paths. Parks and open spaces which allow cycling. Tip: If you are thinking about cycling to work, why not use the weekend for a trial run? Plan your routes around quiet streets and interesting places, the whole road network is open to you and there are lots of cycle paths and traffic free routes out there. It is illegal to cycle on a pavement, use roads or cycle paths. Public bridleways: can be used by walkers, cyclists, and horse riders. By law, those on two wheels should give way to other users. Remember the surfaces can be variable and not always suitable for all bikes. Shared use paths: are free of motor traffic and designated for use by walkers, cyclists and sometimes horse riders. These paths generally have good surfaces. It passes through the centre of every major town in the UK, and 75% of you live within a couple of miles of it. 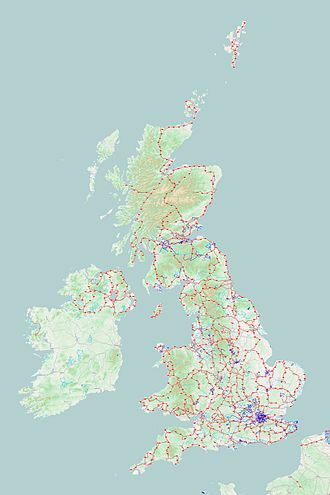 A third of the routes are traffic free with paths along disused railways, canal tow-paths and forest tracks, just look out for the blue signs near you.